Very stylish Hostel only 7 minutes from JR Kyoto Station. Newly built in 2010 in the prime address to discover Kyoto. Our ensuite Double and Single rooms are designed to offer everything traveler need to unwind after a hectic day. Rooms are equipped with king-size tatami bed, Wi-Fi internet, high-tech shower, 32 inch LCD TV, automatic toilet, air-con, LAN cable. The walls are double-insulated to reduce noise levels. Relax in the spacious lobby and quiet room and travel efficiently. You will find how wonderful it is to experience true Japanese culture while spending unforgettable vacation at Capsule Ryokan Kyoto. We offer friendly and relaxing atmosphere. All rooms are kept clean during your stay. All staffs speak English. Numerous restaurants are within short-walk. We will guide you to enjoy local friendly Izakaya, Authentic Japanese style restaurant, Yakitori, Okonomi-yaki and Teppan-yaki, Ramen store, 24 hours open Japanese style fast food(Soba / Udon noodle and beef on the rice), Bakery and cafe for breakfast. All of them are located within 5 minutes walk from us. All the Bus, subway and train leaves from Kyoto station to all the sightseeing spots in Kyoto. We are just 5-10 minute walk from Kyoto central station so very well placed, you can save a lot of time, energy and money for sightseeing and getting around! The bus is highly efficient and there are bus stops around us to major sights such as Gion, Nijo castle, Kinkakuji, Silver pavilion. You can buy 1 day bus pass(500 yen) from any bus driver. There are 2 rental cycle stores near us(800 yen a day) and we offer free bicycle parking. Many guests make our hostel as their base and make 1 day trip to other cities. *Please feel free to drop your luggage before check-in time. We are open daily from 8am. You can store your luggage in a storage for free until 10PM of your check out day. 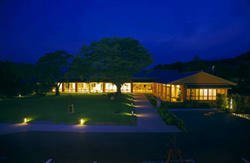 Located only 7 minutes walk from JR Kyoto station. If you arrive at Kyoto Station by train please use Central Gate (not Shinkansen Central Gate. If you arrive by Shinkansen, go through the Shinkansen Central Transfer and you will see signs directing you to the Central Gate).You will see the Kyoto Tower in front of you. If you arrive by limousine bus, the drop off point is located on the south-side of the station. Please go through the station to the north-side, where the central gate and Kyoto tower are located. When you arrve at Kyoto Station, please go out to the North side(Kyoto Tower side), then walk West on the Shiokoji Street. Turn North on to Shinmachi Street (Lawson on the corner) and go straight. When you reach to the Shichijo-Shinmachi intersection, turn left and go straight on Shichijo Street about 250m. 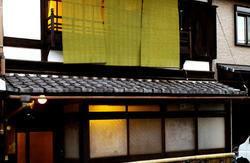 You will find CAPSULE RYOKAN (brown English sign) on your reft. 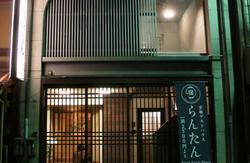 *We are along Shichijo Street and near the intersection of Shichijo St. and Horikawa St.